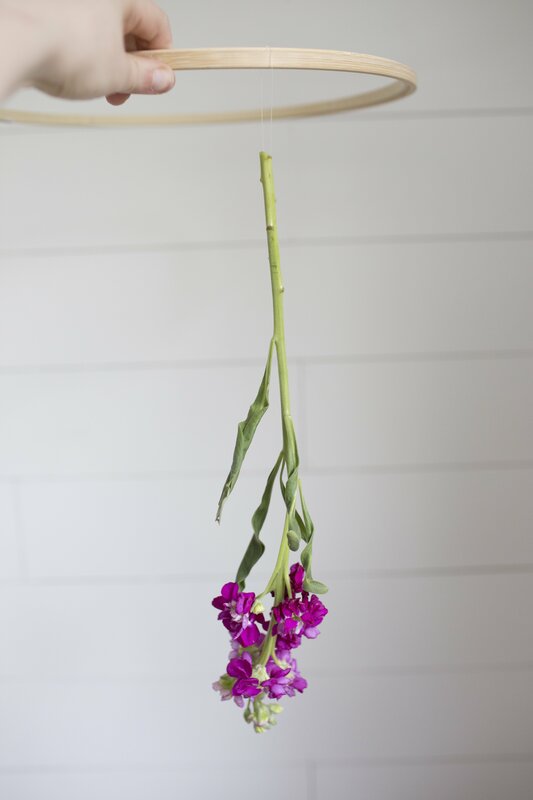 So maybe you’re not feeling the most confident when it comes to your flower arranging skills. If you’ve got a big brunch looming (or a bridal shower! or a summer cocktail party! yes yes!) here’s a floral display that will wow. It’s a little bit country and a little bit May pole, but it’s easy to do and totally fabulous. Instead of sticking your fresh blooms in a vase, hang them up instead. Here’s how! 1. 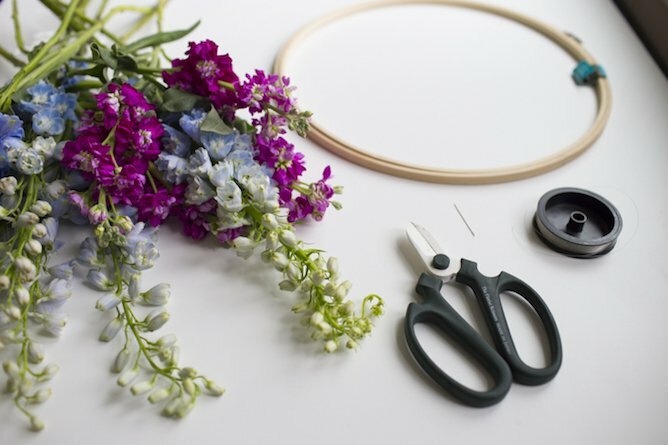 Carefully cut the flowers down to size so they’re all even looking and would look good strung up on the embroidery hoop. 2. Attach four ribbons at an equal distance around the hoop . Gather them at the top so you can hang the hoop from the ceiling. 3. Thread the needle with a piece of fishing line. It should be about six inches long. Poke the needle through the stem of your flower and then tie the fishing line around the top of embroidery hoop so the stem hangs down. Adjust the length of the fishing line then tie. 4. Repeat until you’ve covered the entire embroidery hoop with flowers. 5. To fill in any gaps hang ribbon in complementary colors. That is so pretty. Bonus: hanging them high means the cat can’t destroy the flowers. Haha yes! I have four so keeping them away from their little paws is always a struggle. this is so unbelievably gorgeous!!! i love the look of bright florals in the warmer months, it just makes everything so much prettier :) i bet since they’re hung upside down too, they’ll look fresher for longer since the petals won’t wilt from gravity! hey girl- oh so pretty! This is gorgeous! 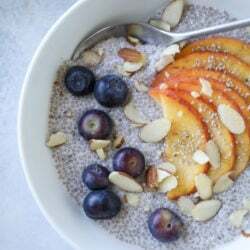 Love it and can’t wait to make my own! As a DIY’er I never make flower before no skill about flower arranging but I like your idea. I never make floral chandelier before but I wanna try. This is the best site I’ve seen! Seriously thank you for all this awesomeness! you have no idea how much hope you gave me !! I love your post. 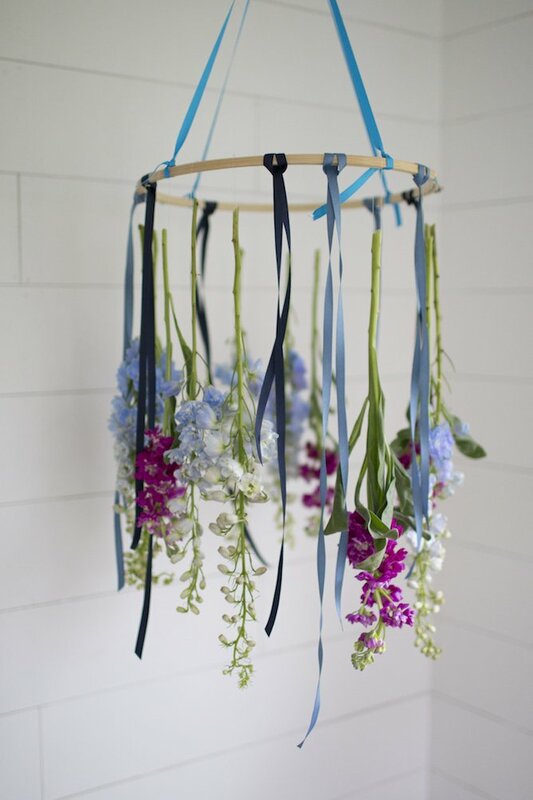 yes, hanging fresh blooms is a great idea rather than using a vase. Wow, that is a really fabulous floral chandelier. Love this idea. I never do that before but you really convinced me to do this. Next weekend I would definitely try this. I love DIY work. It’s a really beautiful idea. I like your tip. This is a very amazing floral chandelier. Hey CAYLIN please you say this flower how to long have room. Thank you for share such idea. Excellent post…! I like your DIY floral chandelier making tips and ideas. I get a new experience for my DIY work. It looks awesome and pretty. Love it and can’t wait to make my entryway. Thanks for your lovely post. Such a wonderful idea! They really do look great. I absolutely love this idea! I have never seen a flower chandelier before. I really want to try this. Thanks for sharing this amazing post. Keep more update and more share. It is my first time visiting your site and I just want to thank you for all the great information. All the information and ideas are helping my own DIY project. Thank you very much for sharing these tips with us. Your post is just incredible. Usually, such pretty posts are not available. Thank you share the post. I think you are a creative person. Your all tips & ideas are very helpful. Every step Floral Chandelier flower making is excellent & images look so pretty. I love your post &I love the DIY project. I can’t be waiting! Really I will try it.